To answer this question we must bear some things in mind. Additionally, note that there is no perfect solution to replicate the effect of one Landing Page SEO on another with a 100% success. Creating a web page that ranks first does not guarantee that another one with the same structure but different content will get the same results. Even if the competition is “inspired by” it, it will not even feature second nor will take us over. Additionally, to be in Google SERPs or any other search engine we depend on them and their search robots, and even if we abide by all the good practices and tips we can get, nobody will ensure you that your ranking results will be good. 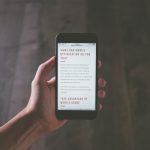 In the face of this unpredictable scenario and leaving aside the basics of a web page, I want to shed some practical light to allow you reach your own conclusions and use them as you might. For this we will look at the landing of some of the keywords with highest volume of monthly searches and competition to then analyse some aspects-domain authority, number of links, content, keywords…-that make us see which are most relevant for Google. With them we will reach practical conclusions from real situations that are delivering first ranks in a SEO search. 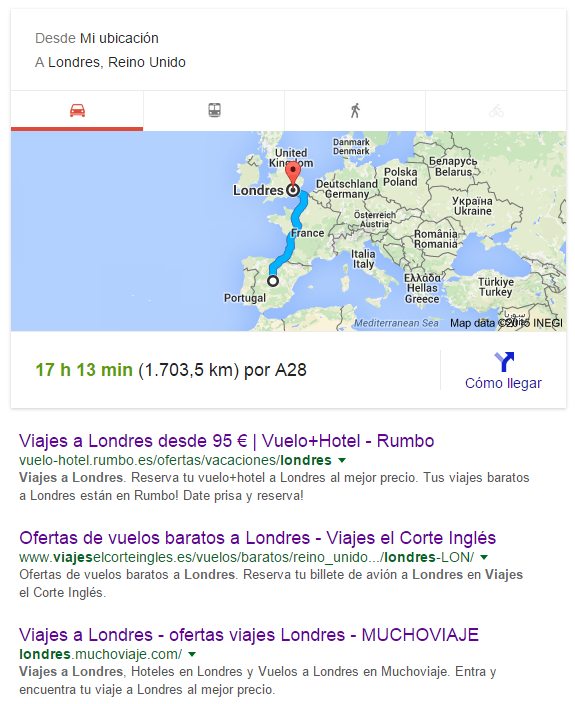 Typing this search in Spanish delivers the first three results from Rumbo (Domain Authority: 60), Viajes El Corte Inglés (DA:50) and Muchoviaje (DA:54). These are all subdomains or external domains created for travelling results, focused on the category and specific destination. The differentiating aspect of this section is that Rumbo repeats less frequently the keywords “London” and its synonyms, focusing this content on 8 offers for the following months. As for the number of domains and links they get, Viajes el Corte Inglés is by far the site that registers a higher volume in both (1,235 domains and 867,262 links, compared to Rumbo’s 105 domains and Muchoviaje’s 16). For specific URLs, Muchoviaje has 19 domains and 71 links and Rumbo 19 domains and 70 links, compared to the URL for Viajes el Corte Inglés, which registers 3 domains and 40 links. In this case the first results that appear are from the blogs RecetasGratis (DA:44), Directo al Paladar (DA:64) and El mejor nido (DA:42). They are all blogs with recipes that include this category within their content. We will focus only on the content of the first two blogs, since the third is only a wide range of dessert recipes list that use this keyword a lot as well as related ones, pictures and search filters, whereas the first two results have from the start a more complete content. These, in addition to a long list of recipes, also use to a great extent the keyword “dessert” and those related with the titles of the pages, and introductory text on top of the recipes and the inclusion to lists of recipes for more categorized desserts-the longest list being that of RecetasGratis. In the first result there are also filters. 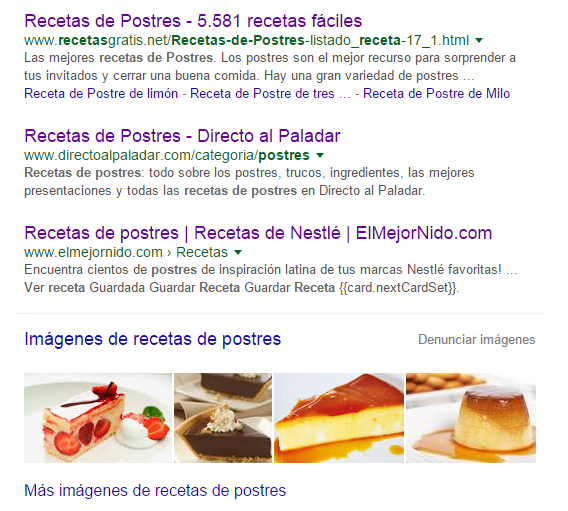 As for the domains received, RecetasGratis gets 1,188, Directo al Paladar gets 4,968 and El mejor nido gets 390. But if we focus on the categories that rank for this result, they have respectively 22 domains and 61 links, 23 domains and 176 links, 16 domains and 43 links. 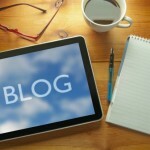 The difference at this level is not so great between the different blogs. In this third case it is important to note that Google has located the search results for Madrid, from where I am doing this and which was not the case for the previous examples. The first three results are from Infoempleo (DA:70), Segundamano (DA:63) and Adecco (DA:62). 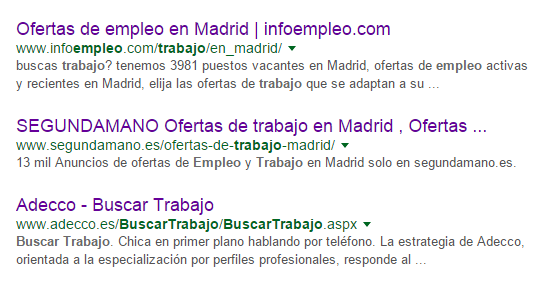 On the first two there is a list of job offers in Madrid as well as a searchbar and filters. It is also worth noting that there are links to lists of other locations or most queried jobs (Segundamano being the most extensive), and lastly, in the case of Infoempleo the incorporation of content related to professional qualifications. The company Adecco features as a landing page separated from the job offers list, but like in the first result the website is focused on the professional world. They both have many keywords related to work distributed among all the content. If we check the linkbuilding of each web we see that Infoempleo is redirected from 3,281 domains, Segundamano from 6,269 domains and Adecco from 2,293 domains. But if we focus on the URLs ranked in this result, the first one registers 40 domains and 8,514 links, the second 7 domains and 19 links, and the third 57 domains and 96 links. In none of the 3 domains the URL is the main one that gets the different links. The most surprising case should be Segundamano, but since it is a web focused on another kind of content (second hand adds) it is normal. For this last case, the first three results are those from insurance price comparison pages and an insurance company. In the first case we find Rastreator (DA:49), followed by Acierto (DA: 47) and Fénix Directo (DA:41). 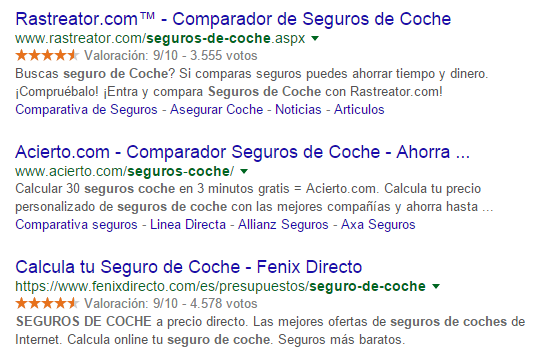 Although the three cases call to action in the upper side of the page, quite visibly, something normal since users that make these searches want to know prices rather than a lot of information, in Fénix Directo there are only 100 words of content related to “car insurance”. However, the first two include more content about the insurance companies, car brands, news and guides under the call to action. In the case of Acierto, it focuses on the advantages and guides but in more detail than Rastreator, which prefers variety. As for the domains that link to the full site on each of the webs, Rastreator gets 940 links, Acierto 379 and Fénix Directo 659. The exact URLs that appear for this result are 30 domains and 18,842 links on the first case, 30 domains and 176 links on the second case, and 37 domains and 20,950 links on the third case. Each sector or topic behaves differently, and therefore the landing pages are different. In the examples we have seen, travelling had a lot of offers; in the case of recipes the importance was given to images and content; in job searches the key was the Google location service; and for insurance companies more importance is given in a call to action around the content. In 3 out of 4 cases the first result was that whose rating as domain was higher in respect to the amount and importance of the links. The score was got using Moz’s ranking tool. The content and an adequate amount of it is key, as it is its variety. From the total of cases, although they did not use the greatest amount of words, they did offer the most different content. In addition to a proper metatags optimization for each page, the inclusion of aspects that catch the attention of the user about your search result is something to highlight. 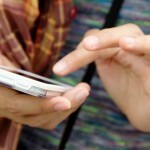 Whether it is a cheap offer, the total amount of recipes or offers, or the users’ ratings. All this appears especially on the first 4 search results, since they all make use of them. As we can see on the screenshots, each search result has a specific feature that does not repeat and gets the attention of the user more than text does. A map in the first case, images in the second or user ratings on the third. For each sector or category this aspect must be taken into account. 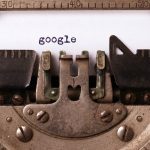 Although we have compared several things on this article, there are many more that Google takes into account: CTR, rebound of each page, links structure and content of each domain, cookies or History, for example.